Heavens to Mergatroyd: Good for you, Paul McCartney! 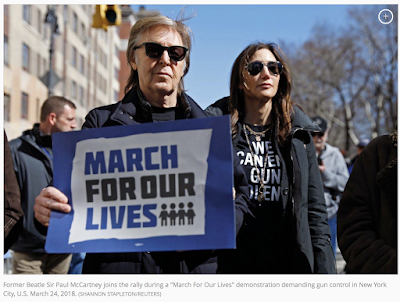 Paul McCartney remembers John Lennon at NYC March for Our Lives near site of Beatles icon's murder. McCartney: "One of my best friends was shot not far from here."